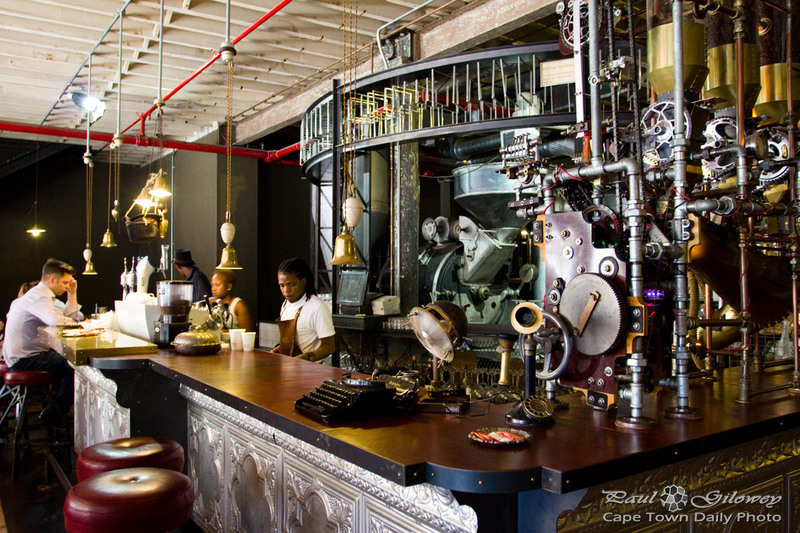 Using steampunk couture to develop Truth Coffee Roasting's brand was a pretty smart idea - given the way in which espresso is made, of course. If you're scouting for similar decor, the particular contraption to the right of this photo, with it's dozons of pipes, cogs, and levers was created by Chris Jones (email) from Psychedelic Steampunk. Posted in General on Monday, 3 February, 2014 by Paul. A good place to sit and read a sci-fi novel.